6.5 oz. 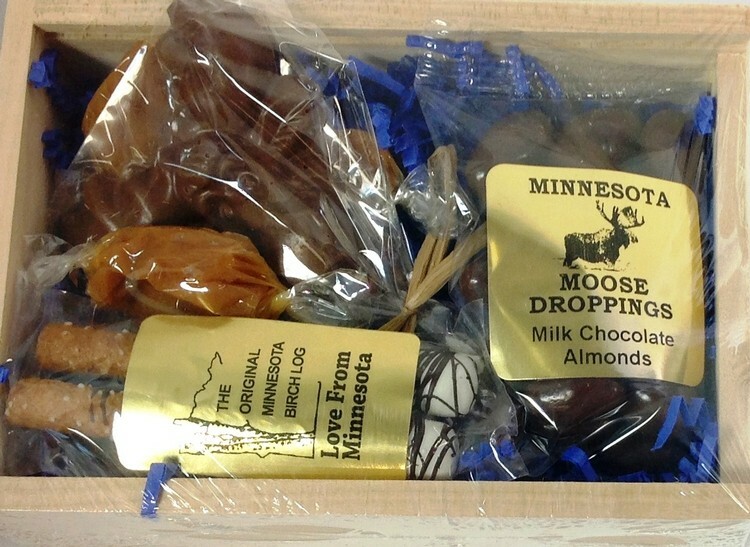 Wooden Box filled with 1 Milk Chocolate Moose Shape, 2 piece bag of Birch Bark, 1 bag of Moose Droppings, and 2 Caramel Twists. Sealed with plastic wrap.